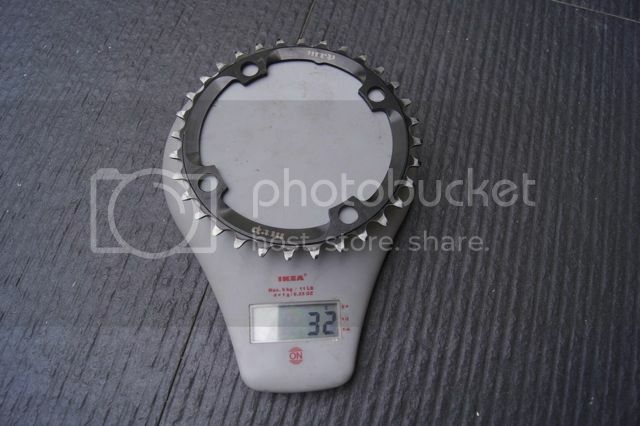 To convert from dual chainring to single chainring, some riders may be tempted to use the middle chainring as single chainring. I would not advise you to do that for three main reasons: (1) The middle ring has added thickness around its teeth to allow chain to switchover to another gear. The additional thickness may narrow the clearance and cause the ring to rub against the plate of the chainguide; (2) Due to the additional thickness of the middle ring, the weigh is normally heavier than the dedicated single ring; and (3) The single chain ring was proven stiffer than the middle chain ring. I was using XT 32T middle ring as single chainring. The black color material around the ring was rubbing against the plate of the chainguide. Not an ideal solution. 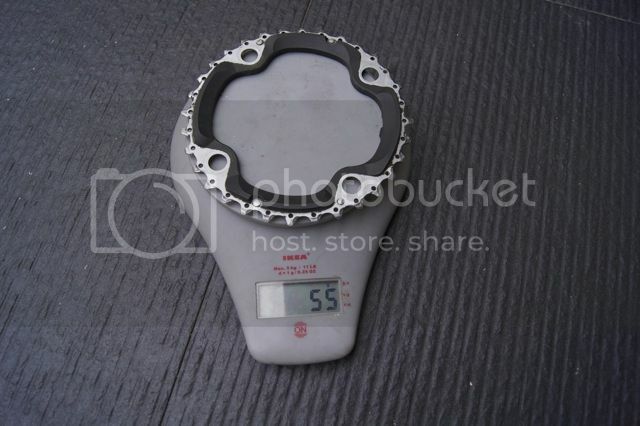 The maximum thickness of the XT 32 middle chain ring is 7.5mm. 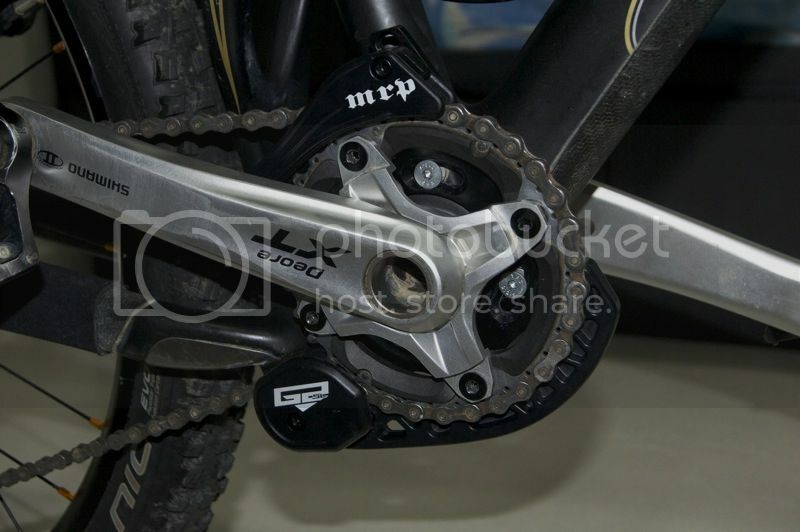 The design of the MRP 32T single chain ring is simple and clean. 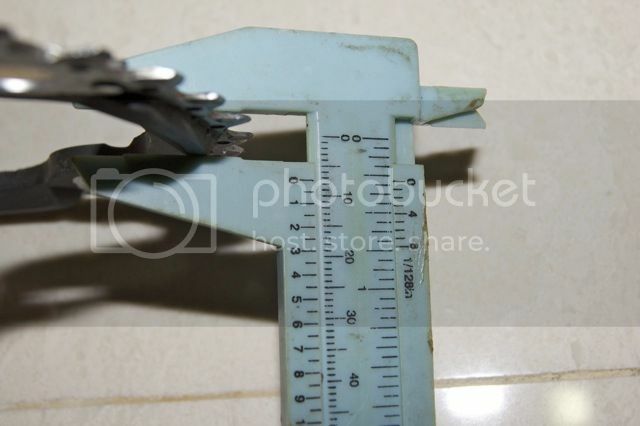 The thickness is only 3mm. The weight of the XT 32T middle ring is 55grams. The additional weight may be due to the black carbon compound that was designed to facilitate the chain switchover to other gear. 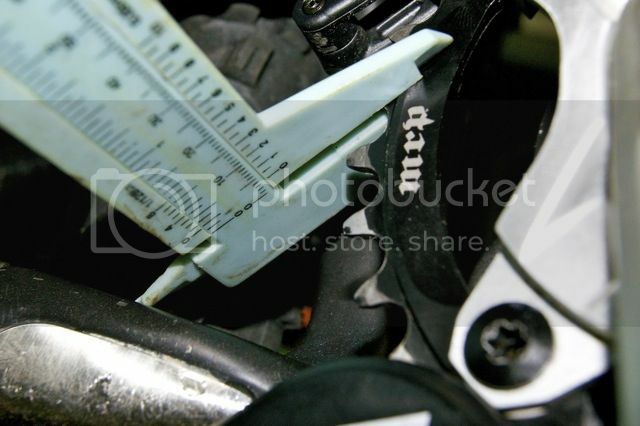 In comparison, the MRP 32T only weigh 32grams. 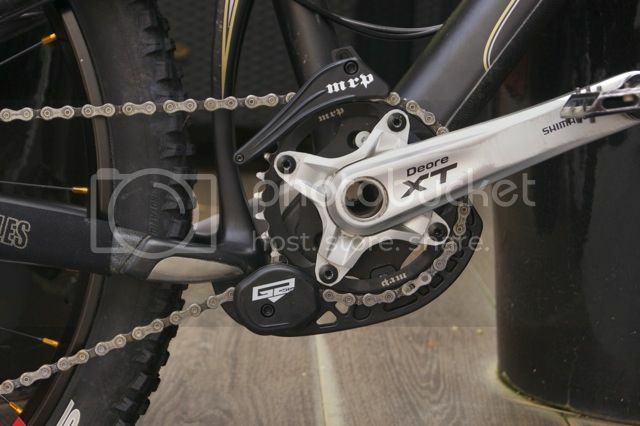 The left photo shows the 1x10 setup that used MRP 32T single chainring. The design is clean and sleek. Absolutely no rubbing. 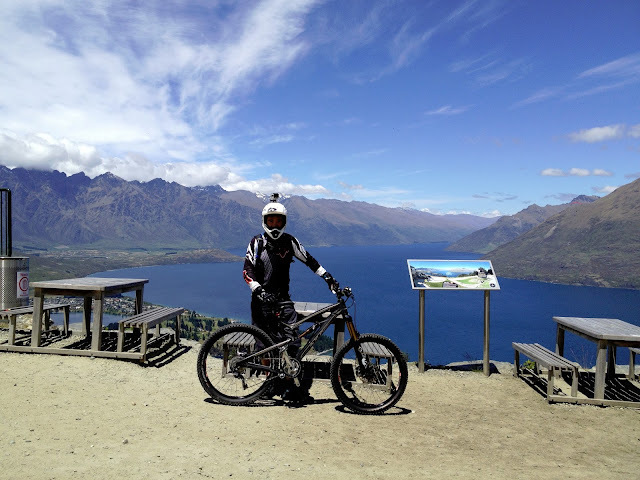 The chainline is perfectly aligned with the cog, and the ride is so much stiffer.